This two piece set of bamboo cutting boards makes an attractive serving and chopping surface and also a great gift! Bamboo cutting boards. Ideal for chopping and serving. 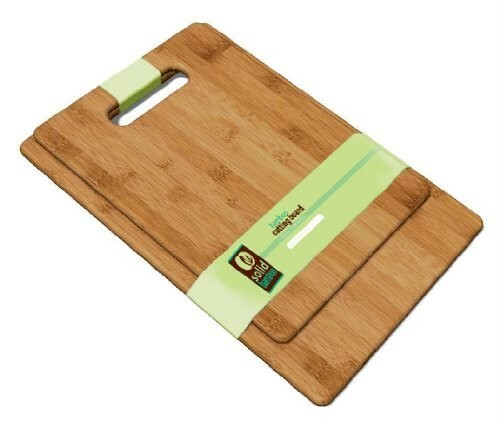 Solid Green bamboo cutting boards are made from 100% bamboo. Reliable, functional & beautiful. Bamboo cutting boards are stronger than wood and will not dull your knives. They are naturally antibacterial and are a renewable resource. This two piece set of bamboo cutting boards makes an attractive serving and chopping surface and also a great gift. Ideal to chop and serve - Reliable, functional & beautiful! This two piece set of bamboo cutting boards makes an attractive serving and chopping surface and also a great gift.